All the latest news and updates from our dental clinic in the heart of Limerick. 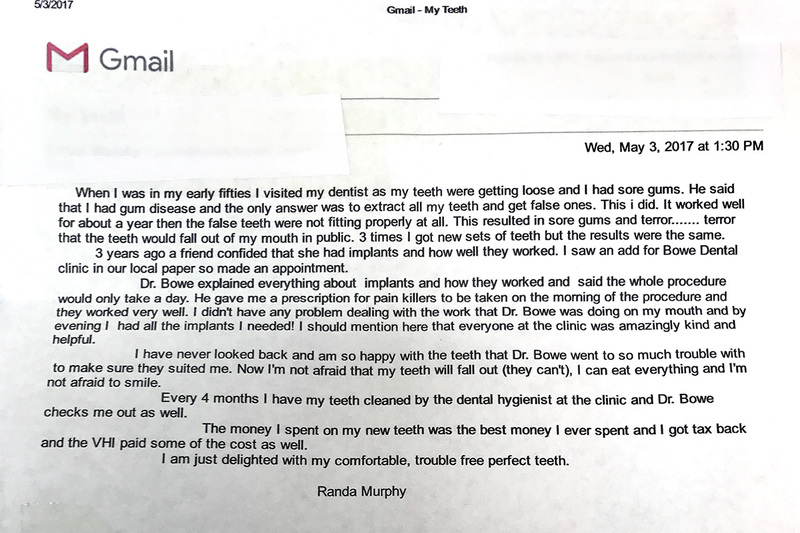 We recently received this lovely testimonial from one of our All-On-4 patients. Thanks so much for your kind words Randa, we love hearing about the incredible difference this procedure makes to our patients lives! If you are missing all of your natural teeth and want to find out more about how All-On-4 Implant Supported Dentures (also knows as Teeth-In-A-Day) can dramatically change YOUR life you can find out more here or CONTACT US on 061 608 186 for more information and to schedule a FREE CONSULTATION.